Today we started our third Matterhorn trip of the season. We started off with a team breakfast and meeting this morning. Mid day we found ourselves up high in the beautiful Swiss Alps climbing the Riffelhorn. This 3000m plus rock climb as surreal surrounding and we were lucky to have a clear sunny day to enjoy the views. Tomorrow we are off to the Saas Allmegaller valley to climb the Dri Hornli and the Wiesmess over the next 3 days. We will be back in Zermatt on Sunday. 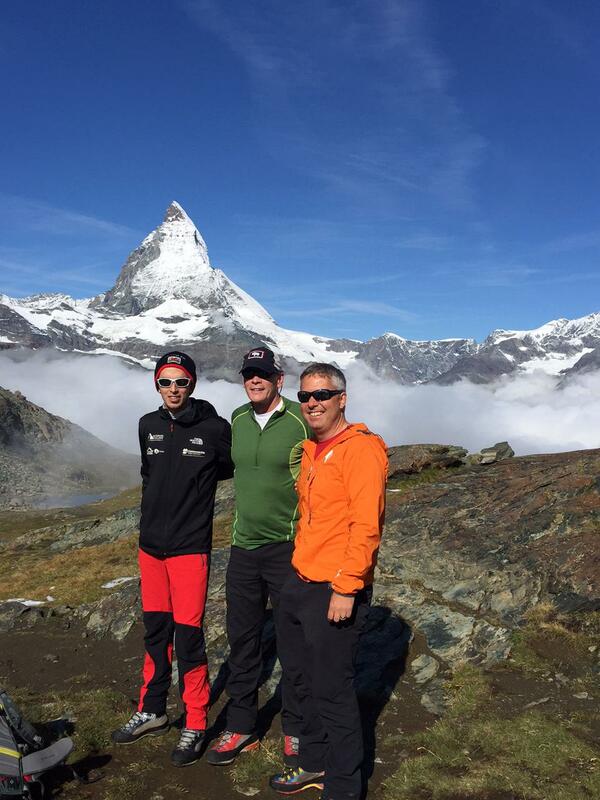 Here is a picture of our team of climbers from today with the Matterhorn in the back ground. Thanks for following our cybercast.